This traditional Syrian lentil and rice stew is the famed "mess of pottage" Esau foolishly traded his birthright away for in Genesis. In Esau's defense, it is really tasty. 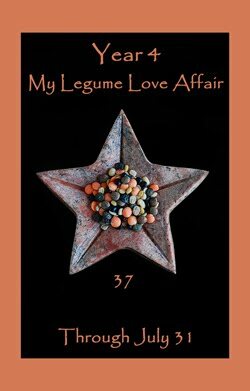 I spent some time traveling through India in college, and after eating Indian food (a cuisine I normally love!) for breakfast, lunch and dinner for six weeks straight, I could not even look at the stuff without feeling nauseated for a good year after I got home. Breakfast was definitely the toughest meal for me while I was there - first thing in the morning is just a little too early in the day for me to stomach Indian food. But I digress. Mujadara is good stuff - yummy, filling, and good for you. Middle eastern peasant (or student?) fare all the way. You've got your brown rice, you've got your green lentils, and you've got a mess of delicious caramelized onions. Top it all off with some cumin and cinnamon and you're in business. Serve this with tzatziki (cucumber yogurt salad), hummus, flatbread and a chopped salad for a healthy, truly delicious meal. 1. Put 2 1/8 cups of water on to boil. Rinse the rice and drain the water from it. Once the water comes to a boil, add the rice, stir and reduce the heat to low. 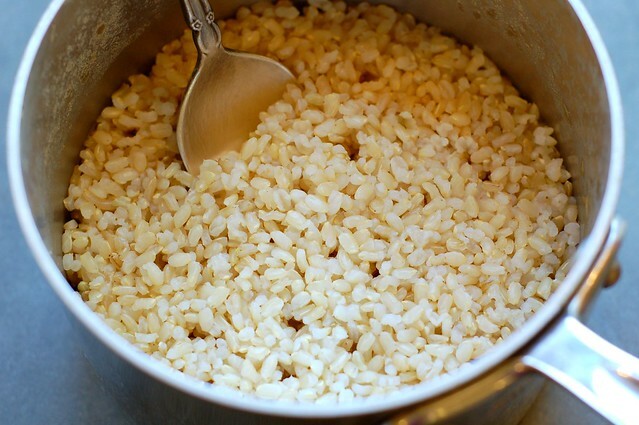 Simmer the rice, covered, for 40-45 minutes or until the water has been absorbed and the grains are tender. 2. While the rice is cooking, rinse the lentils, removing any bits of chaff, small pebbles or discolored beans. 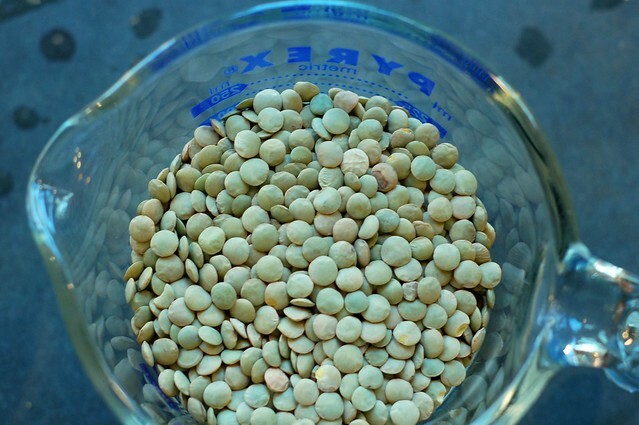 Place the lentils in a pot and cover with cold water by 2-3 inches. Bring to a boil then lower the heat to medium and cook, partially covered, for about 25 minutes, until the lentils are tender but still hold their shape. 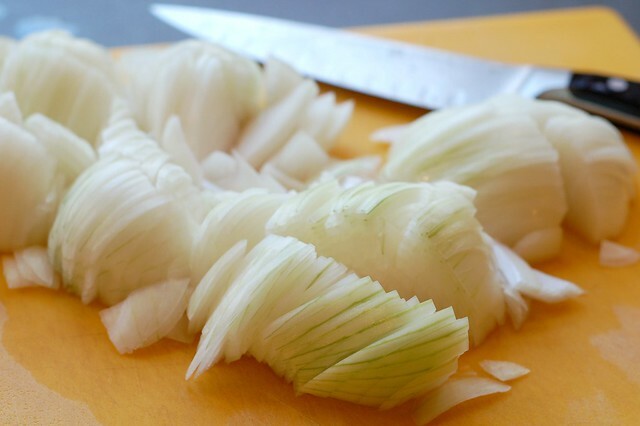 Remove from heat, rinse with hot water, and drain. 3. While the lentils and rice are cooking, put the olive oil in a frying pan and sautée the onions over medium- low heat until caramelized - roughly 10 minutes. 4. 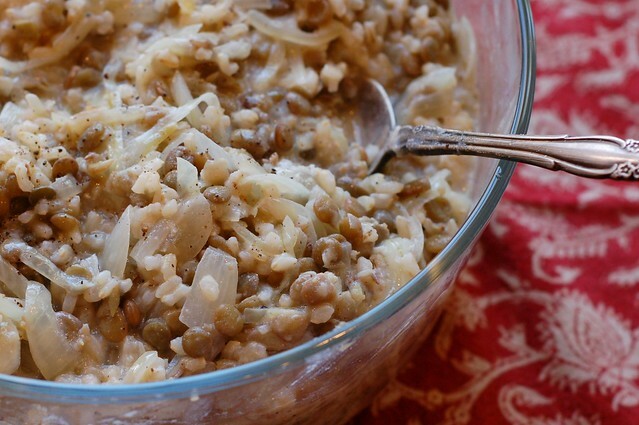 Combine the rice, lentils, and onions in a large bowl. Add the ground cumin, cinnamon, salt and pepper and stir to combine. Adjust the seasonings to your liking, if needed, and serve. Also, I'm submitting this recipe for this month's My Legume Love Affair. Check it out! So glad! Maybe we can get this new spelling of seriously to catch on, too. Thanks so much, Eve, for your scrummy MLLA contribution.